There is a 2-acre grassy parcel about a half-mile west of Pony Pasture on Riverside Drive called Riverside Meadow Greenspace. It’s a small but attractive part of the James River Park. It’s common to see outdoors groups like Riverside Outfitters and True Timber Tree Service launching rafts and climbing trees there. Richmond Fire Department units practice rescues from the meadow. It’s a great setting for instruction in an area where public real estate is tough to come by. It’s also common to see people set up chairs, blankets and even grills and settle in for the day here. The area is well-attended by walkers, joggers, bikers, bird-watchers, fisherman and especially paddlers. Since the Z-Dam is connected to Riverside Meadow and Williams Island across the river, one can often find kayakers surfing in the powerful notch in the dam. 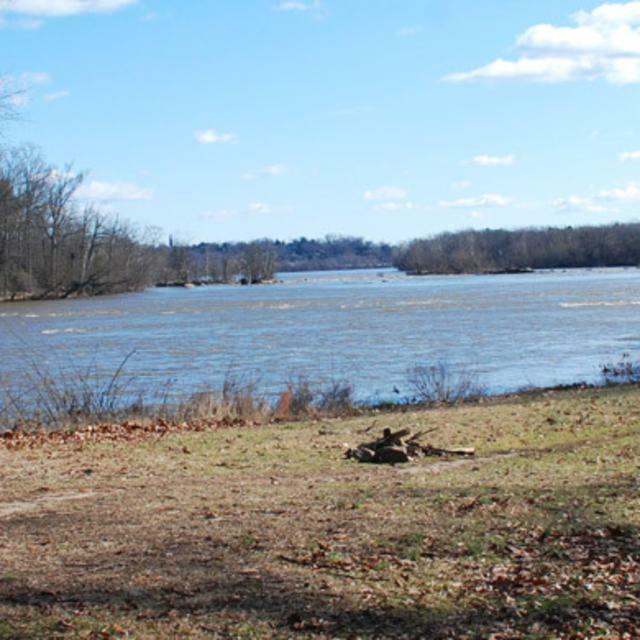 The view of the James and Pony Pasture Rapids from the meadow is beautiful and a big draw for the little park. The patient wildlife watcher will find bald eagles, otters, osprey and great blue herons in this area. The mix of calm water to the left, rapids to the right and tall trees along both sides shorelines creates a rich mix of habitats, according to park signage at the Z-Dam.